The new generation variable frequency drive (VFD, also know as variable speed drive) manufactured by our factory which include a wide range power drives, from 0.4kW to 2.2kW in single phase (1 AC) and 0.75kW to 630kW in three phase (3 AC). This new variable frequency drive (VFD) inherit all of the advantages of the old ones and develop lots of new features of its own, it's running more stable, more silent, the entire performance is going better and better. This variable frequency drive (VFD) can continuous running even if the electric power off in a certain time, it allows the machines work automatically in the unstable electric power area, plus, it can track the AC motor's speed and start at the assign speed (can be set manually) when the power on, this makes the AC motor work smoothly with less maintenance. The variable frequency drives (VFD) also integrated the most popular technical characteristics, like vector control, RS 485 communication, PID control and much more. Wuyishan, a famous beautiful city in China, its Water Supply Plant plays a significant role in citizens' lives. But it caused lots of inconvenience to local residents as the water plant was built a very long time ago, pipes exploded frequently and booster pump failed which lead to abnormal water pressure and even cut off water supply frequently. Therefore, technological transform for the water supply plant is extremely urgent. The water supply plant's booster system was consisted of two levels. The booster system of the first level was consisted of two booster pumps, one was driven by a 93Kw ac motor and the other was by a 45Kw AC motor which was treated as replenishment & spare pump. The transform adopts variable frequency with constant pressure control system, it can adjust the numbers of the operating ac motors automatically according to the water consumption, realize closed-loop control through the feedback of the water pressure, to keep the pressure in a stable level and avoid electricity waste when the flow changed. 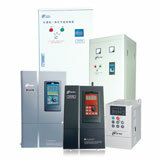 Control cabinet, 1unit (including 1 set autotransformer starter, 1 set Y/Δ starter and instrument signal light, contactor). The variable frequency drive (vfd) built-in PID regulator. The pressure sensor detects the pressure of the header pipe in real time and transforms it into a 4-20 mA current signal, then send to the simulation current input port of the ac drive and adjust the pressure value & PID parameters, to control the output frequency through calculation by built in PID. The system parameters can be adjusted during actual operation to make the system control and response even better. For example, different pressure values can be set for different time intervals, which not only save energy but also can make different water pressure for different users. The water consumption is changeable during daytime and night, in order to save energy, the system integrate special "dormancy" function which can suspend the operation of the water pumps. When the output of the variable frequency drive is under the lower limit frequency, supply to motor of the spare pump will stop; when the output of the inverter is at the lower limit frequency, but the actual water pressure of the header pipe is still in a higher level, the variable frequency drive turns to "dormancy mode" and stops operating after a certain working time; when the water pressure decrease to the set value, the variable frequency drive "wake up" and turn to PI regulation state again. "Dormancy confirm time" is built in the frequency converter, when the variable frequency drive's dormancy time less than a set value, i.e., td < tn, the variable frequency drive continues to work; And when td > tn, the variable frequency drive turns to dormancy mode. The replenishment & spare pump will start automatically when the variable frequency drive's output frequency reach to upper limit frequency during the water consumption peak. In water supply plant system, stability is significant important as it's related to the residents' water demand of the whole city. 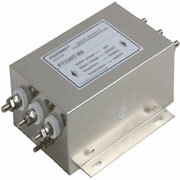 Therefore, the water supply system has been installed with a power frequency/variable frequency switching function. In normal situation, the system is working under the variable frequency constant pressure water supply state, but once it failed or in maintenance period, it can switch to the power-frequency operation immediately, and the original spare autotransformer start system is used to start the water pump to ensure continuous water supply, so the reliability of the whole system can properly satisfy the requirements of the city. The two systems are electrical interlocked to prevent incorrect operation to ensure safe operation for the whole water supply system. The replenishment & spare pump operates automatically after 3 minutes to replenish water pressure when the main pump works at 50Hz in the variable frequency operation mode. It can not only to ensure the pressure of the system pipe network during peak water consumption, but also can decrease the operating frequency and current of the main pump; when water consumption decreased, the operating frequency decrease to 20Hz lower limit, and cut off replenishment pump to increase the main pump's operating efficiency. Thus, the water supply system can operate under an energy-efficient and optimized state. 1. Increase reliability of the water supply system. 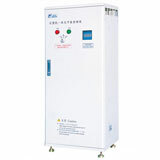 The VFD can adjust the water pressure smoothly after adopting of the variable frequency constant pressure control system, to enable the watch-stander have a more stable and flexible regulation and control of the whole system. It can regulate the water supply pressure conveniently with the development of urban pipe networks and the volumes changeable in water supply. Thanks to the new technology system, the failure rate reduced significantly, and the two systems can compensate each other to ensure continuous water supplying and provide reliable warranty for the cost-effective and optimized-operation system. 2. Increase service life of the equipment, and decrease maintenance of the system. As a result of the variable frequency constant pressure control mode, the water pump is soft start/stop, eliminate the shock torque damage to the high power ac motor during the start/stop period, so the impact to the water pump is significantly decrease, in the meantime, due to the soft start and constant water pressure control, eliminate the water hammer effect on the pipe network during start period, and bursting pipes phenomenon won't happen again. 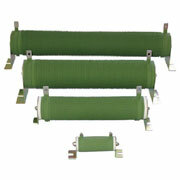 So, it can increase the equipment's service life, decrease failure rate and maintenance workload. 3. Improve power utilization situation for the water plant. Eliminate impact to the power grid during the plant start period as soft start is adopted in the variable frequency drive system. 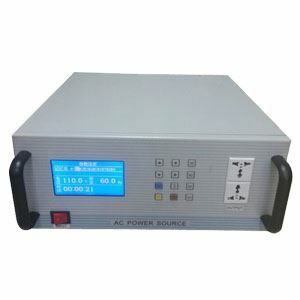 The power factor of the new system can reach 0.95, and efficiency up to 0.98, the working current is significantly reduced and the wire lines wastage is also reduced, improve the electricity consumption state of water supply plant. In the old system operation, it requires manual switch to replenish pump operation when the water consumption changed. The pressure of the pipe network fluctuated according to water consumption is usually between 3.8~7kg/cm2, but the optimum water supply pressure is around 4.0kg/cm2, and it will cause pipes bursting when it exceeds 7kg/cm2. We know the pressure H is in proportion with the square of the ac motor's rotation speed N, the shaft power P is in proportion with the cube of the pump's motor rotation speed N, i.e., H ∝ N2, P ∝ N3. When the pressure is just provided by the replenishment & spare pump in minimum water consumption level, the pressure of the old system is about 7kg/cm2; But the pressure can be controlled at around 4.0kg/cm2 when the variable frequency technology is adopted, in this state, the electricity saving rate is up to 57%; if it operates under the lower limit frequency for a long time, the variable frequency drive (vfd) can operate in the "dormancy" mode, generally, the electricity energy saving rate can be around 40% in whole water supply system, it's a significant energy saving effect for the system. Normally, the initial investment can be covered after 7 months in electricity saving volume through the adoption of new variable frequency constant pressure water supply system. See application of frequency inverter in Numerical Control Machine.